Fondly named , our professional email server is entirelydeveloped by our amazing team. Do it like more than 10.000 companies and try it! How to manage calendar, emails, documents, contacts in one click? By using a webmail which is always available through POP synchronization services, IMAP, Activ Sync, CalDAV… Our webmail supports Google Chrome, Firefox, Internet Explorer, Safari, in short, it is compatible with all existing browsers and environments. 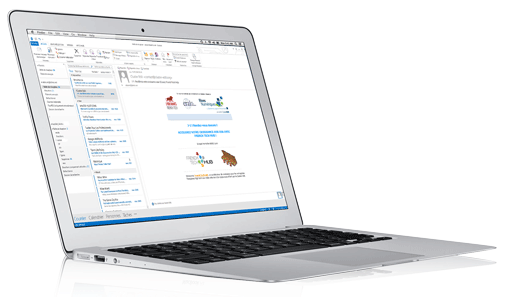 Alinto Mail Server Pro is the most complete groupware email server on the market. All your data are secured with encrypted protocols and protected by powerful antivirus and anti-spam. Alinto Mail Server Pro is professional email server, which adheres to the safest rules of any company. You don’t need to consult the public cloud messaging offerings anymore when AMSP can offer you the same services on your private cloud and with protection. 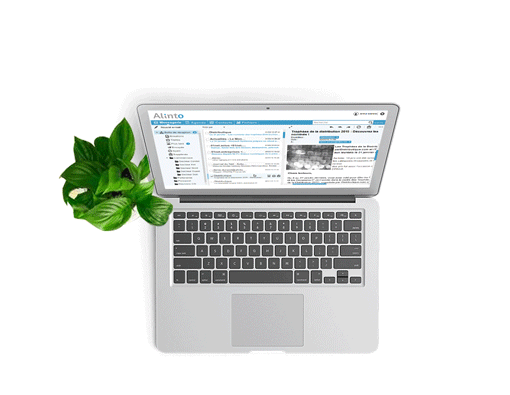 Alinto Mail Server Pro, our professional email server is available at any time and for all types of uses. You can access your server from a mail client (Outlook, Mail, Thunderbird…) or from our innovative web based email. Also gifted with an intuitive touch interface, your emails follow you everywhere, both on your computer and your phone, so you can find a new way of working. According to your needs and requirements, you are free to choose the hosting service of Alinto Mail Server Pro. On your own infrastructure or on the cloud of your choice. Alinto Mail Server Pro is available on a private mail server for SMEs and on a multi-domain platform for ISP (Internet Service Provider). With its automated installation and its 100% web administration interface, your new professional email server will be available in a few moments. You will offer a BYOD solution to your users without any installation or configuration. If you need help, our technical teams are ready to assist you any time. Alinto Mail Server Pro is a secure email software. Being the French alternative to Microsoft Exchange®, AMSP allows you to use your current Mail Client (Outlook, Mail, Thunderbird…) or its innovative webmail !